I went out last night and saw The mountain goats. It was a free gig, which i hadnt seen in the fix. The Fix i have discovered is online. I started this new thing which I notice other people are doing too. 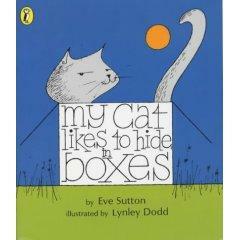 last read: the childrens classic, My cat likes to hide in boxes.